Le Mobilier national | One quality, the finest. It’s the largest of the Loire Valley châteaux. It’s also one of the emptiest. The Château de Chambord, architectural marvel of the Renaissance, will soon regain its former allure, thanks to a partnership with Le Mobilier national. 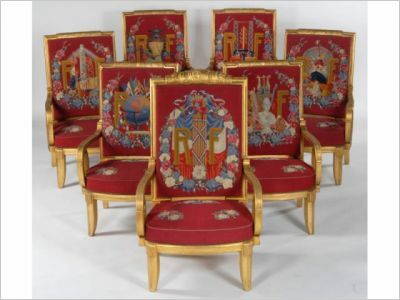 Le Mobilier national (luh moh-bil-e-ay nas-e-on-al), or National Furniture, is a government service that collects, restores, warehouses, and loans important pieces of furniture to government buildings, such as the residences of the President, Vice President, and now the Château de Chambord. It’s sort of like having a grandma with the world’s greatest attic to rummage through when you need to fix up your new place. They have about 200,000 pieces of furniture, of which about fifty period-appropriate museum-quality works are now on loan to Chambord allowing visitors to discover certain rooms as they were in the 17th century. 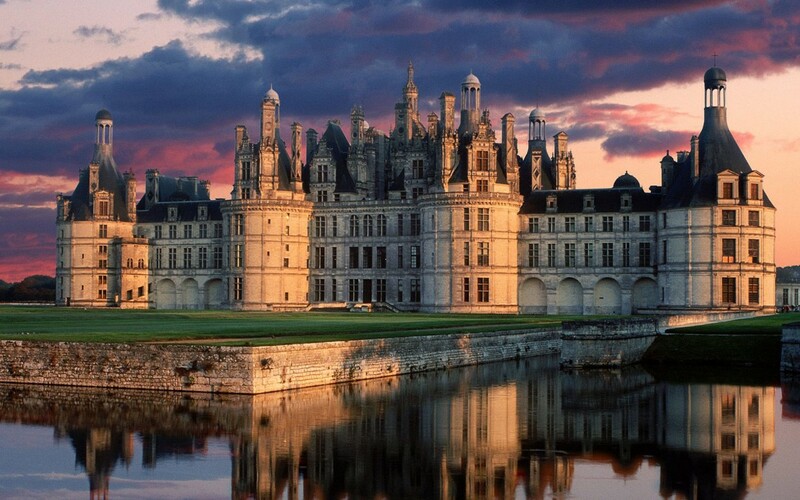 Chambord is the jewel of the Renaissance. François I was 25 years-old when he launched its construction. It took 47 years to conclude the massive building project. As was customary, François I traveled with his furniture, leaving the 400-room château empty the vast majority of the time. The furniture of the next resident of this over-sized hunting lodge, le maréchal de Saxe, was burned during the French Revolution. When France acquired the château in 1930, the rooms were echoingly empty. Only a handful of pieces original to the château at the time of le maréchal exist. One is a stone table that weighs about 1,800 pounds. It was too heavy for anyone to take even when the château was looted, down to crumbs too small even for the mice. There are two identical consoles and a few armchairs. That’s all that’s left of the furniture that filled 400 rooms. To make the rooms live again, le Mobilier national has installed furniture that is completely accurate to the period and the 1750 inventory of what was in the château under le maréchal de Saxe, down to reproductions of the exact trim. 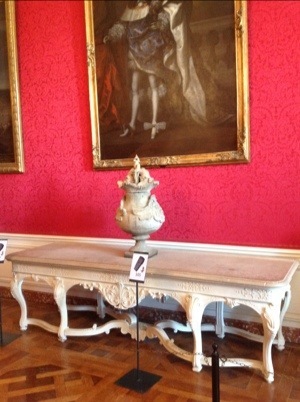 Also present are pieces that represent the eras of some of the other famous residents of the château, including le comte de Provence (who became Louis XVIII) and his brother, le comte d’Artois (who became Charles X). As for what was there under François I, not a stick remains. Artisans are going to make replicas of some pieces based upon Renaissance drawings. By the end of 2015, visitors should be able to picture life at Chambord as lived by a king. 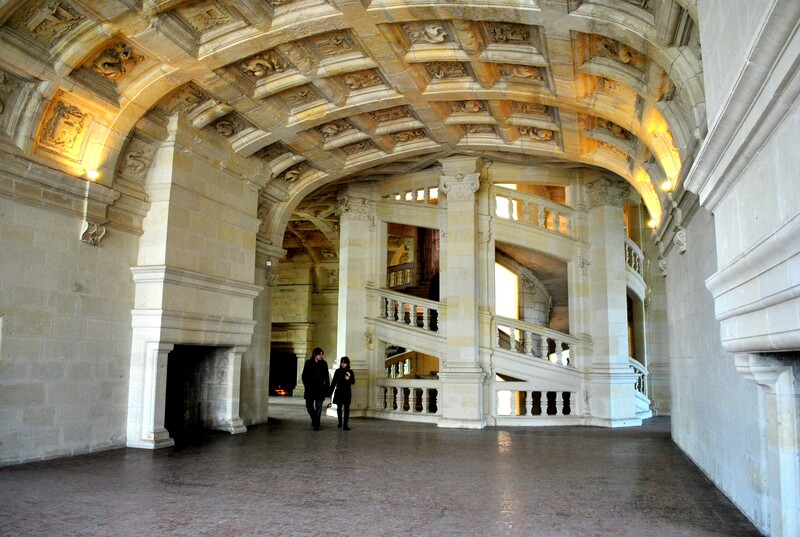 This entry was posted in Architecture, Travel and tagged Château de Chambord, Châteaux of the Loire, Francois I, le maréchal de Saxe, Le Mobilier national, Renaissance. Bookmark the permalink. Wonderful to know this! I always thought it was a shame that Chambord was left empty, even with the explanations of how the king and his entourage would come and go with furniture and tapestries. A visit to Cheverny, furnished and full of art and serving pieces, was somehow so much more satisfying. Will have to plan a return to the Loire in the near future. I concur. And the wonderful flower bouquets in each room at Chenonceau really made a huge impact.